I sometimes wonder: if a musician dances to their own music, isn’t that kind of arrogant? Is it like an author cracking up at his own jokes at a reading? 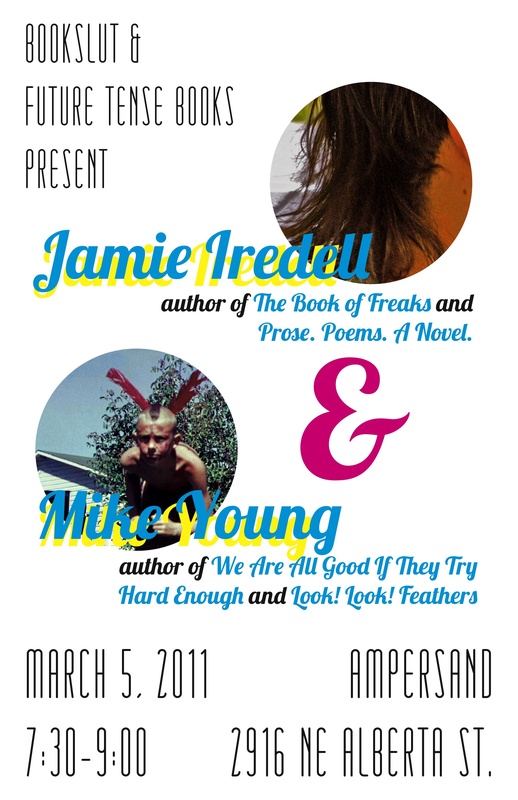 Also: I’m hosting this reading at Ampersand on March 5th, along with Michael Schaub of Bookslut. It’s going to be awesome! This entry was posted in Uncategorized and tagged ampersand, Dancing, Jamie Iredell, Laughing, Mike Young. Bookmark the permalink.